Accomplishments: AA degree in Business Administration from TCC since incarceration, apprenticeship completion from the DOL for Office Management, a plethora of certificates of accomplishments – incident free! What if you were young, and full of life, but found yourself in a compromising situation landing you in prison for Life+25 years stemming from your ignorance, fear and bad decisions? Now what if the people who are held to a higher standard were allied with fear, misinterpretation of the law and lack of discernment allowing a confessed murderer to be released to society with only a slap on the wrist? Is that hard to believe? Well, welcome to my life, a past full of haunting til this very moment with those realities as I’m laboriously seeking deliverance. This life (the product of my case) I am coursing through has many layers to it but it is straightforward and simplistic in explanation after unraveling, as time marches on. From the legal perspective, it will disturb the average person because of all the injustice involved. Don’t get me wrong, I am not here confessing innocence against the things I’ve actually done. Lord forbid such, but, the rabbit hole reveals what I DID and what I did NOT do and the overwhelming injustice surrounding the astronomical amount of time I received for is another matter altogether! 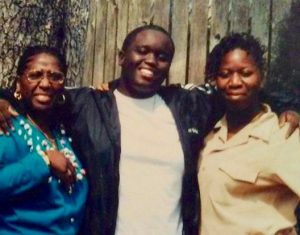 I have been incarcerated for 23 years – literally half of my life. The mindset of that day and time in 1995 is much different from today, in every facet of life even down to the techno world and the behavior factors of the youth. The offense that gave me a life sentence, warrants only a statutory maximum sentence of 15 years as charged by indictment. The reason I received a life sentence was because the officers of the court did not understand the “statute of conviction” of carjacking (I will ask you to please suspend judgment for the moment). The Supreme Court of the United States made it completely clear what is being said here, nevertheless, the mentality of this era today still stands in the way where justice has a hard time prevailing. To add insult to injury, the murderer in my case who got the slap on the wrist was the government’s key witness who not only received federal immunity for her testimony against my codefendants and I, but received 4 and a half years in the state system for a confession of 1st degree murder for the victim she killed in the so-called “carjacking”. I was, of course, never charged with the murder. This confession did not come about so easily, this key witness who threw a temper tantrum in the courtroom because she was not a willing participant to testify against me, told a slew of lies to the investigators and sent them on a wild goose chase, ultimately the circumstantial evidence backed her into a corner and she confessed that she decided on “her own” (mens rea component) that she was going to kill the victim. During her mental gymnastics while she sat in the backseat making her decision, i was in the front seat having a conversation with the victim – oblivious to her state of intentions. After her confession to the investigators she was no longer interviewed. 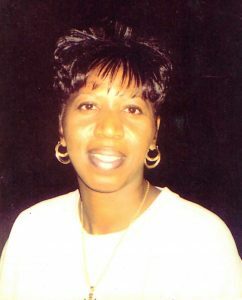 The trial proceeded as the government painted their picture of her as the victim of one of our older co-defendants that she was intimately involved with for a great length of time claiming that he was the “leader” of everyone involved in the case. There are numerous interviews with recorded facts of her conversations with investigators validating her as a compulsive liar as she changed her story multiple times. The government was sure to paint roses in place of that fact by stating that she only lied about “who” actually murdered the victim. The state system rejected her attorney’s claim of coercion, nonetheless she received a lesser offense of manslaughter and a reduced sentence of 4 and a half years. Wow, how in God’s name did i receive more time than the key witness who decided on her own accord that she would murder someone and committed the physical act to consummate the harshest penalty of the carjacking statute. Are we measuring apples and oranges here? I received an indefinite amount of time as a first time offender. The officers of the court not only misinterpreted the statute of conviction in that way but also did not understand the essential element of intent – mens rea component – which is also a part of the offense of conviction. Am I saying that I proceeded through a 14-day trial with officers of the court not knowing the essential elements of the federal offense? Absolutely, that’s what I’m saying here! Let’s play court for a minute and have a side-bar conversation. According to Supreme Court rulings there are obvious substantive and constitutional errors. If that is your question, then the answer resides in the same room as the question. In 1995, there was a ‘national scare’ in effect concerning carjacking. So anything that could “appear” to be carjacking got prosecuted in federal court, even when taking the car was only a “means” of fleeing the scene and not the object of the “car” itself. Think about this; the Supreme Court subsequently interpreted the federal carjacking statute TWICE in March of 1999. They obviously saw that it was of MAJOR concern in its interpretation in the lower courtrooms due to the hasty applications, resulting in a grave miscarriages of justice for the individuals concerned. Now that you can see the way in which things were flowing during that era, we can look to the Supreme Court for its valued reasoning of “why” an officer of the court will not correct errors of this nature. These errors were made by the officers of the court, per se (even arbitrarily in subjecting me to procedural bars so that my ‘substantive and constitutional claims’ were barred from review) so as to not bring ineffective claims against themselves. (See, Massaro V. United States). There is hard evidence that the district court’s sentencing judge used an uncharged and unrelated firearm offense to uphold 20 additional years to the already indefinite life sentence via a firearm provision, 924(c). I am presently in the Supreme Court, yet again, on a writ of Certiorari to be viewed but the percentage of a criminal case being heard is slim to none. Yet I will fight, with my very last breath, I will fight. Please breathe with me now and welcome at this point other areas of my story like the transformations I’ve undergone and how I’ve become what would be considered “a classic version of a productive member to society” and able to contribute royally to an ailing world. Thank you for any consideration that you may be able to offer to my unfortunate situation. 48 queries in 0.132 seconds.